A new strain of the virus that causes AIDS has been discovered in a woman from the African nation of Cameroon. 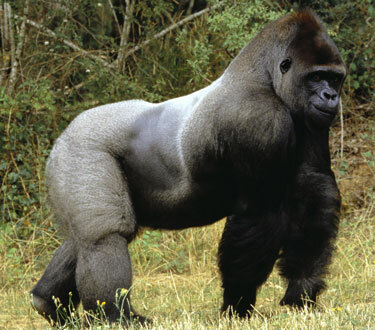 It differs from the three known strains of human immunodeficiency virus and appears to be closely related to a form of simian virus recently discovered in wild gorillas, researchers report in Monday’s edition of the journal Nature Medicine. The finding “highlights the continuing need to watch closely for the emergence for new HIV variants, particularly in western central Africa,” said the researchers, led by Jean-Christophe Plantier of the University of Rouen, France. The most likely explanation for the new find is gorilla-to-human transmission, Plantier’s team said. But they added they cannot rule out the possibility that the new strain started in chimpanzees and moved into gorillas and then humans, or moved directly from chimpanzees to both gorillas and humans. How widespread this strain is remains to be determined. Researchers said it could be circulating unnoticed in Cameroon or elsewhere. The virus’ rapid replication indicates that it is adapted to human cells, the researchers reported. A separate paper, also in Nature Medicine, reports that people with genital herpes remain at increased risk of HIV infection even after the herpes sores have healed and the skin appears normal. Researchers led by Drs. Lawrence Corey and Jia Zhu of the Fred Hutchinson Cancer Research Center in Seattle found that long after the areas where the herpes sores existed seem to be clear, they still have immune-cell activity that can encourage HIV infection. Herpes is marked by recurring outbreaks and has been associated with higher rates of infection with HIV. It had been thought that the breaks in the skin were the reason for higher HIV rates, but a study last year found that treatment of herpes with drugs did not reduce the HIV risk. The researchers tested the skin of herpes patients for several weeks after their sores had healed and found that, compared with other genital skin, from twice to 37 times more immune cells remained at the locations where the sores had been. HIV targets immune cells and in laboratory tests the virus reproduced three to five times faster in tissue from the healed sites as in tissue from other areas. “Understanding that even treated (herpes) infections provide a cellular environment conducive to HIV infection suggests new directions for HIV prevention research,” commented Dr. Anthony S. Fauci, director of the National Institute of Allergy and Infectious Disease.